If your pooch is like most, then pills will be swallowed only when they’re camouflaged in a favorite food or treat. Store bought pill pockets are expensive, especially if you need a lot of them. Most often the ingredients used to make pill pockets are not of top health quality. 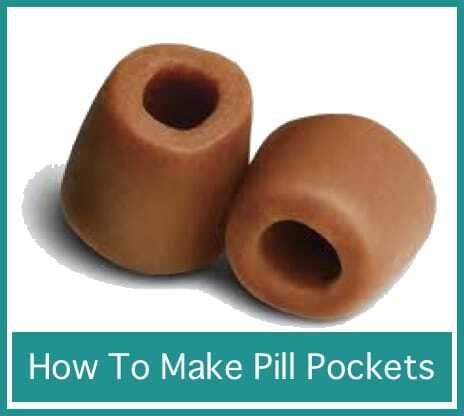 We discovered Becky’s Blog, and she shares her recipe and instructions for making homemade pill pockets. The ingredients include peanut butter (we use homemade peanut butter), flour (we use organic flour or coconut flour), and milk (we use organic without hormones). This 3-ingredient pill pocket recipe is easy and quick to make, plus it will save you money. The best part is that your peanut butter-loving pup will happily gobble these up and tail-wag for more!